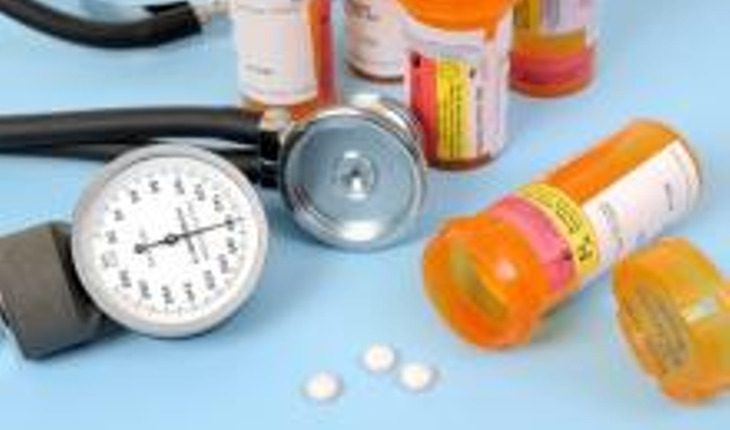 A hypertension specialist looks at potential causes. Usually, it’s not just one single issue but various factors that contribute to the problem. Your doctor will work to figure out why – and from there, create a new plan of attack. “Finding the right combination of medications for uncontrolled hypertension may require some trial and error,” says hypertension specialist George Thomas, MD. If you feel nervous about seeing a doctor, your blood pressure could spike at each appointment and give the false sense that your blood pressure is generally high. Try arriving early at your appointment, then take deep breaths in the waiting room to relax. Work to manage your anxiety. The American Heart Association recommends that you sit quietly for at least five minutes before taking your blood pressure. Reason 2: You might not be taking medications correctly or you could be taking other drugs that interfere. With complicated dosing schedules, people can forget to take medications or not take the correct doses at the correct time intervals. Also, other drugs can interfere with blood pressure control, including pain relievers (NSAIDs), oral contraceptives and nasal decongestants. That’s why it’s good to bring all of your pill bottles, including over-the-counter medications or vitamins, to your appointments. Sometimes, people make mistakes in testing at home. Bring your home unit to your appointment and show it to your doctor to make sure it’s operating correctly. Make sure your arm cuff is the appropriate size for you. When you take readings at home, start by sitting quietly for five minutes. Then, be sure your back is supported, your feet are on the ground, and your arm is at heart level to get an accurate blood pressure reading. Misreadings can also happen at your doctor’s office, says Thomas. The cuff might be the wrong size, or they might be taking a reading before you’re fully at rest. To get a more accurate reading, Thomas takes six blood pressure readings in a row, each one minute apart, using an automated blood pressure machine. He or his staff observes the first reading but then you are alone in the room for the remaining five readings. They use the average of the last five readings to get the result. Thomas recommends the low sodium DASH diet for patients with hypertension — lots of fruits, veggies, whole grains and lean protein, with no more than 2.3 grams of sodium each day. You should check with your doctor if the DASH diet is appropriate for you. You may not use the salt shaker, but perhaps you’re eating processed foods or using canned foods that contain high levels of sodium. Registered dietitians can show you how to spot sodium in nutrition labels to better manage your intake. To help lower your blood pressure, work to lose weight, increase your physical activity and moderate your alcohol consumption as needed. If you smoke and can quit, it will lower your overall cardiovascular risk. Thomas often tests for vascular or hormonal issues that could be influencing a person’s uncontrolled hypertension, as well as thyroid problems or obstructive sleep apnea (OSA). Thomas says your blood pressure shouldn’t be higher than 140/90 mmHg (or higher than 150/90 mm Hg in older people). Resistant hypertension is blood pressure above the goal despite being on at least three different blood pressure medications at optimal doses. “Each of those three medications should be from different classes, with one being a water pill,” Thomas says. He says studies indicate that about 12 percent of patients meet those criteria. If you have high blood pressure that isn’t responding to medication, your doctor may refer you to a hypertension specialist recognized by the American Society of Hypertension, Thomas says, as these cases often require in-depth testing and highly tailored treatment. Once you have a specialist, he or she will investigate and create a personalized treatment plan for attacking stubborn hypertension. “Everyone is different, and every treatment decision is an individual one,” he says. Reprinted with permission from health.clevelandclinic.org.